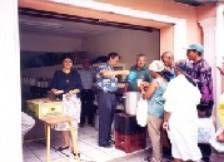 Now an approved Advanced Special Project of Global Ministries (Code no: 13157A) of the United Methodist Church in the USA! To download a letter giving full details and learn how you can be part of this exciting project! qualifies to be tax deductible as a 501(c) (3) charitable donation. The Advance Office will send you a receipt for your donation for the purpose of tax deduction. H.E.L.P. 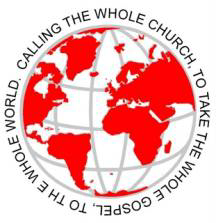 Ministries International was founded by Rev. Cecil W. Begbie in order to train and equip Christian leaders to evangelise their own people and become involved in the healing process in the nation. It was formally registered as a trust in 1994 (Trust Registration Number T4147/94).H.E.L.P. came into being as a direct result of a revival that Rev. Begbie experienced while he was serving the Church as a minister of the Methodist Church of Southern Africa in Johannesburg, South Africa. The revival came after the Lord Jesus Christ laid upon his heart the need to pray for a revival, and he then challenged members of five congregations over whom he had pastoral charge to meet with him for prayer every morning at 05:00 am on a daily basis. After praying for months in this fashion, suddenly the Holy Spirit was poured out over our congregations and communities so much so that our Methodist Church, which closed down its evening services on a Sunday because no-one attended, this same church, viz. Coronationville Methodist Church, Johannesburg, became too small to accommodate the crowd that was gathering on a Sunday evening. This same building had to be extended twice to accommodate the fast-growing congregation. The revival was spurred on further by the fact that whole-week evangelistic campaigns were conducted for five weeks in succession at each of the five churches Rev. Begbie had under his pastoral care, and the fifth church was that of a pastor of the Church of the Nazarene who joined forces with him in this Evangelistic outreach. 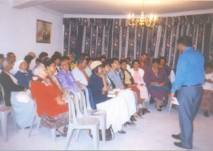 This revival spread to other cities in South Africa where Evangelistic campaigns and Conventions were conducted. 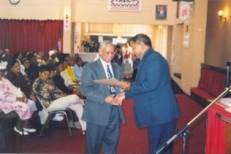 After a successful Easter Weekend Convention was held in Coronationville Methodist Church in Johannesburg in 1987, Rev. Begbie shared with a colleague, Rev, Edwin Jones, while doing an evaluation of the past weekends experience, that he felt convinced that Healing and Evangelism, accompanied by Servant Leadership of Integrity is the Primary calling of the Church, Rev. Jones then took out of his pocket a pen and paper and produced the acronym H.E.L.P. 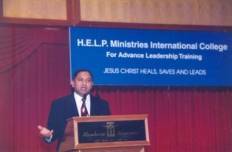 : Healing, Evangelism and Leadership Programmes. So then, H.E.L.P. Ministries was born as a direct result of our Revival experiences of the outpouring of the Holy Spirit. In 1991, while Rev. Begbie was sitting in a Synod of the Methodist Church in Namaqualand in the Northern Cape of South Africa, God gave him a vision of establishing a H.E.L.P. Centre which would give expression to the Whole Gospel through a variety of projects and which would serve as a model for other Christian leaders to come and experience with the view to establishing similar centres all over the world. *A College for Evangelism, the Healing Ministry and Christian Leadership. 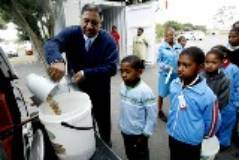 *A Meals on Wheels and Soup Kitchen project providing food for the needy. *An After School Care Centre and Pre-School Centre to care for children of working parents. *An International Convention Centre which will provide conference facilities. *A Worship Centre where the Healing Ministry will be exercised. *A Medical Centre to accommodate both General Practitioners and Specialists. *A Counselling Centre for both Pastoral and Clinical Counselling. *A Service Centre for Senior Citizens. *A Technical College, providing training skills, together with a Career Guidance and Employment Bureau. 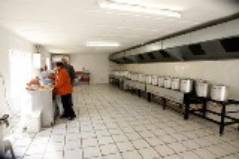 And is situated at 524 Lansdowne Road, Lansdowne, Cape Town, South Africa. It is here where all the projects under the H.E.L.P. Ministries vision will be implemented.